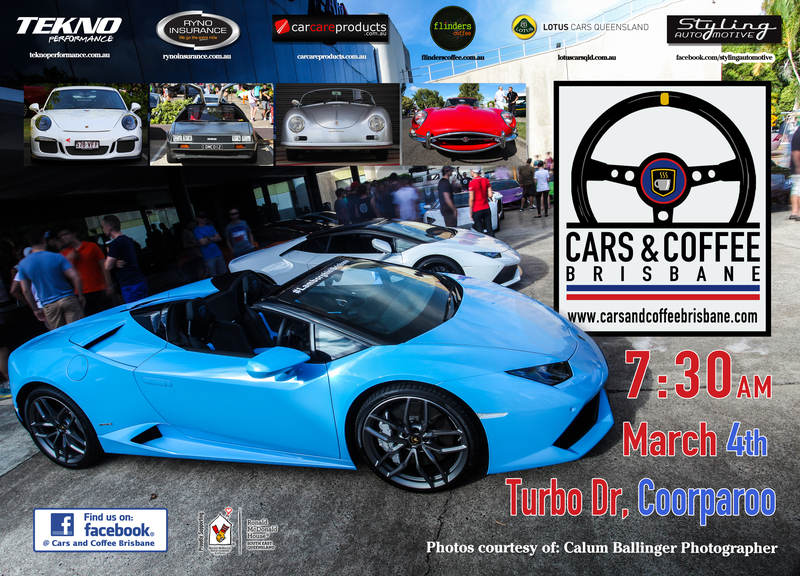 The next Cars & Coffee Brisbane will be on Saturday the 4th of March. We look forward to you bringing along your exotic, rare, classic, vintage, historic or even race vehicles from 7:30 am. We have a few changes with our sponsors this month. We say farewell to both TD Automotive and Bartons Bayside . Thank you both for your support thus far. We would like offer a warm welcome to Lotus Cars QLD & also Styling Automotive . Also a massive thanks to Ryno Insurance Services Pty Ltd , Car Care Products , Tekno Performance , Flinders Coffee and Ronald McDonald House South East Queensland for their ongoing support. Please keep in mind that this is a family-friendly event, so please drive and behave responsibly.